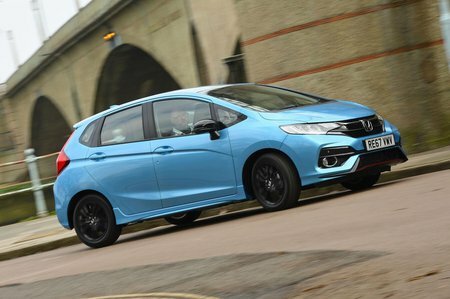 Honda Jazz 1.5 i-VTEC Sport 5dr 2019 Review | What Car? Based on SE trim, Sport gains black 16in wheels, sporty bodystyling, a leather gearknob and steering wheel, orange stitching, LED headlights and the bigger 1.5-litre engine. Only available in Sport trim, this unit has 30bhp more than the 1.3. It’s quite quick but needs to be worked just as hard as its smaller sibling if you want to get the best from it.